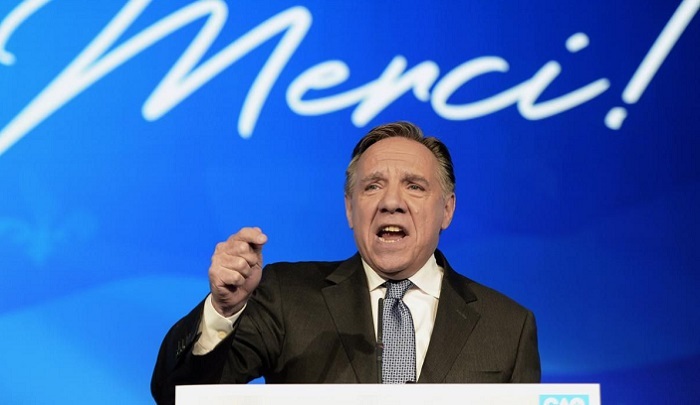 The Premier of Quebec, Francois Legault, “says there will not be a day against Islamophobia in Quebec because according to him, it isn’t an issue.” The “Islamophobia day” idea was in reaction to a mosque shooting in Quebec in January 2017. Alexandre Bissonnette pleaded guilty to six counts of first-degree murder. The shooting was found not to be a terrorist shooting. “Legal psychiatrist Dr. Gilles Chamberland told the court Bissonnette was not a terrorist because he didn’t subscribe to any type of ideology,” but still, the National Council of Canadian Muslims (formerly CAIR-CAN), which has been promoting the Islamophobia canard among Canadians everywhere, took this opportunity to further advance the “Islamophobia” narrative. The group, documented to have ties to Hamas, encouraged Trudeau “to endorse Jan. 29 as a national day of remembrance and action on Islamophobia” in commemoration of the Quebec mosque shooting. Six Canadian cities have endorsed a charter against “Islamophobia” which was drafted and advocated for by the NCCM. The term “Islamophobia” has no place in Canada. It has been defined by the NCCM as “dislike directed … towards Islamic politics or culture,” which has nothing to do with actual anti-Muslim bigotry. Most astounding is that the NCCM continues to be funded by taxpayers, despite its reputation, roots and goals. Premier Francois Legault says there will not be a day against Islamophobia in Quebec because according to him, it isn’t an issue. “I don’t think there’s any Islamophobia in Quebec, so I don’t see why there would be a day devoted to Islamophobia,” he said at a closing news conference Thursday for the CAQ’s caucus meeting in Gatineau. Tuesday marked the two-year anniversary of the attack at a mosque in Quebec City that left six people dead and 19 others injured. Guilbault and Legault travelled from Gatineau to Quebec City Tuesday evening for a vigil at Laval University commemorating the tragedy and honouring the victims of the shooting. It was on that day that Quebec Public Security Minister Genevieve Guilbault opened the door to the idea of a national day. “We are open to being a part of those discussions. If some people are willing to have those discussions, we will certainly be open to being part of it,” she said at the time. Within 48 hours, the premier shut down any possibility of an anti-Islamophobia day in this province. It’s not the first time the idea has come up. EDITORS NOTE: This Jihad Watch column with images is republished with permission. The feature image is by Pixabay.